We love history here at BookTrib, which is why we featured 5 Fascinating Books that Shed a Fresh Light on History in February. But when we sat down to plan our Women’s History Month Smart Reads, we decided to take a slightly different angle. We wanted to feature women who are telling contemporary stories about their own lives. So here are six memoirs that explore family dynamics, grief and loss, redemption, reinvention, violence and peace, and that enduring thing called love. Difficult father-daughter relationships have inspired many memoir writers, but few with the vivid, cross-cultural perspective of Angela Lam. Her Chinese father was larger than life, always playing the angles and in love with American consumerism. Her Caucasian American mother struggled to keep up and give her daughters the privileges she never had. This deft remembrance of living between Chinese and American culture and struggling to find a place is an absorbing and moving portrait painted by a fresh voice. 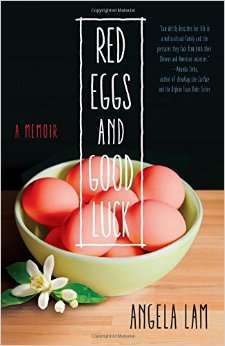 Lam was discovered when she won the She Writes Press Memoir Discovery Contest in 2014. The tragedies of our times, like 9/11 and the earthquake and tsunami that devastated Japan’s east coast, gain a deeper level of grief when they’re given a human face. In 2011 Mockett awoke to a text alerting her of an earthquake in Japan. What initially seemed routine—earthquakes were as common in Japan as her native California—built into horror as radiation and then water swept lives away. Taking her 18-month-old son and Japanese mother, Mockett traveled to Japan to come to terms with personal as well as national grief and discovered the consternation and consolation of rituals and traditions. A moving, healing biography. Losing a loved one to a prolonged illness is an exercise in grief and empathy. 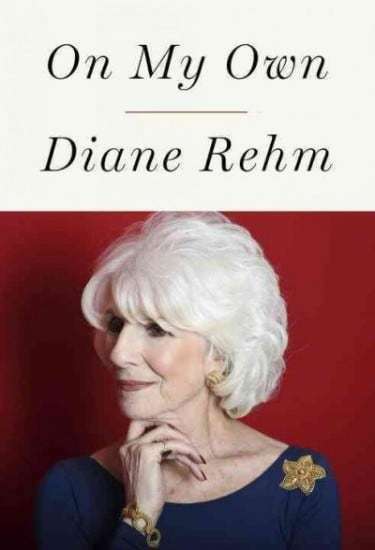 When Diane Riehm, the beloved NPR radio host, lost her husband John to the dark journey that is Parkinson’s disease she was confronted with the need to rethink her identity while coming to terms with the nature of her husband’s death. Even as she tried to come to grips with his desperate need to end his own suffering, she sought consolation from friends who had also recently lost a spouse. Riehm’s singular voice lends hope as we consider our ever-encroaching mortality. British journalist Christine Toomey’s coincidental meeting with a group of Buddhist nuns while covering the Dalai Lama for the Sunday Times of London led to a 60,000-mile journey to interview women whose lives are dedicated to Buddhism. Coming on the heels of her own personal losses, Toomey reveals the stories of women who personify strength, perseverance and peace in the face of discrimination, sexism, imprisonment, exile and war. A profound and moving portrait of Buddhism’s little-known spiritual sisters. Long before Gloria Norris became a screenwriter and producer in Hollywood, called “Kookooland” by her colorful and dangerous father, Norris was a 9-year-old living in the projects of Manchester, New Hampshire. Her little family—erratic dad Jimmy, compliant mom Shirley, rebellious big sister Virginia, and self-imposed son-substitute Gloria—danced to a ballet of love, hate, humor and fear. Still, life seemed like an adventure until Susan Piasecny, the bright and beautiful teenager who inspired Gloria to follow in her footsteps to college, succumbed to a family tragedy of increasing chaos and violence. A tragedy that began to draw Jimmy into its undertow. A disturbing and darkly humorous examination of family violence and what it takes to escape. When Riddle was 11 a friend accidentally slammed her thumb in the window. From this unlikely opening, the author grabs our attention with her precise storytelling and lyrical imagery and draws us into this surprising story of parents who give up convenience and move their family to the foot of the Cabinet Mountain Wilderness in northwestern Montana. It’s in this rural mountain community that her family builds the log cabin that will become their new home. Meanwhile, Riddle struggles with deep shadows from her past as she learns how the breathtaking landscape and its tumultuous politics affects the people around her. A superb, eloquent memoir that sings with imagery.